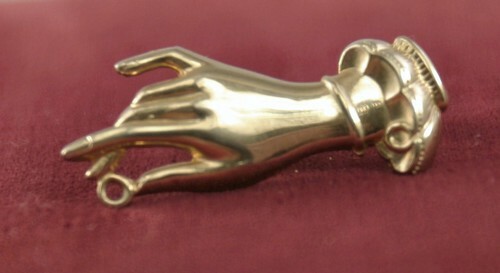 Coro goldtone pin, hand holding ring. Safety clasp closure. It is about 1 1/2 inches long.